POWER OF SUCCESS FEATURING TONY ROBBINS – Legacy – Plan. Prepare. Prosper. This September, REIN President Richard Dolan is touring LIVE with the man, the myth, the legend Tony Robbins. 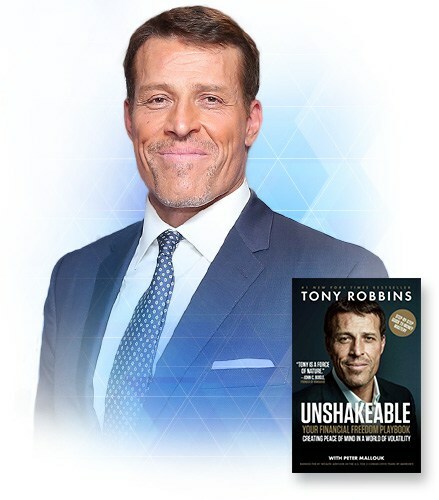 Tony Robbins is the grandfather to motivation, the ambassador to the impossible and the champion for making mankind tap into its absolute potential. He is a world-renowned entrepreneur, best-selling author, and philanthropist. An authority on leadership psychology, Tony has advised leaders around the world for more than 38 years. He is the creator of the #1 personal and professional development program of all time and is an inspiration to millions. Power of Success is for anyone with a desire to learn and grow, including real estate professionals. It will enhance your interpersonal communication and leadership skills, allow you to network with like-minded people and help you experience a passion for life. Every fire needs a stronger flame. This is your chance to refocus, recalibrate and reset your levels of inspiration and motivation so you can move toward living your best, brightest and boldest life.